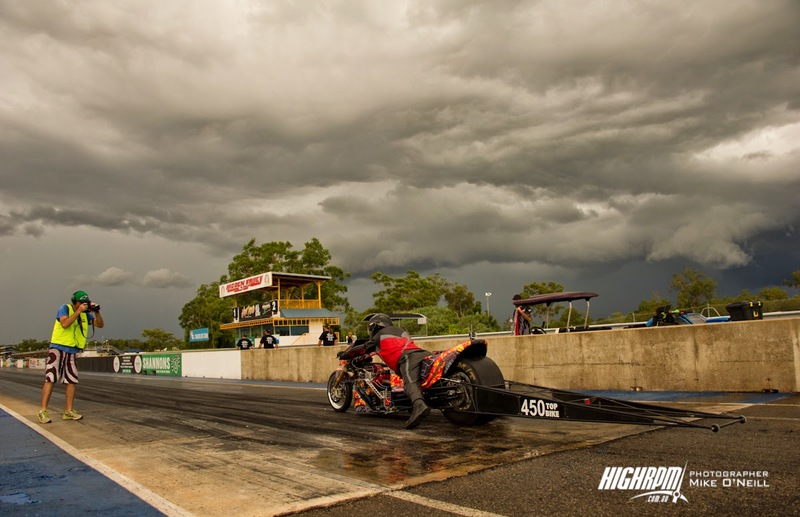 Anticipation and enthusiasm abound as the drag racing season kicked off proper. The day had been fine and hot but as with everything tropical, the weather was forming unseen in the rural areas and racing was going to be affected big time later on. A great range of new cars were out for some testing and racing, including a large group of street bikers that had recently attended and raced the test and tune the week prior. 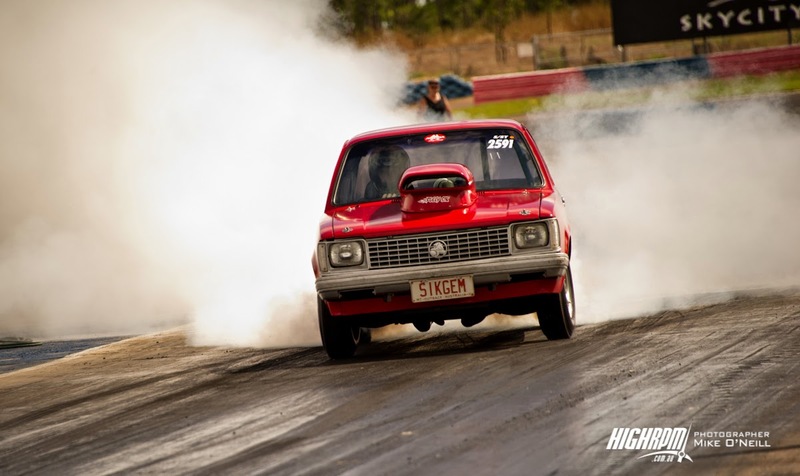 The team from HighRPM, Dennis, Edmund and myself were there to get the action. By late afternoon a large thunderstorm had steered its way over the valley and lightning was pretty frequent. Racing continued up until the downpour stopped competition. It was only brief with about 20 mins of rain and as soon as it stopped all hand were on deck to dry the track out. 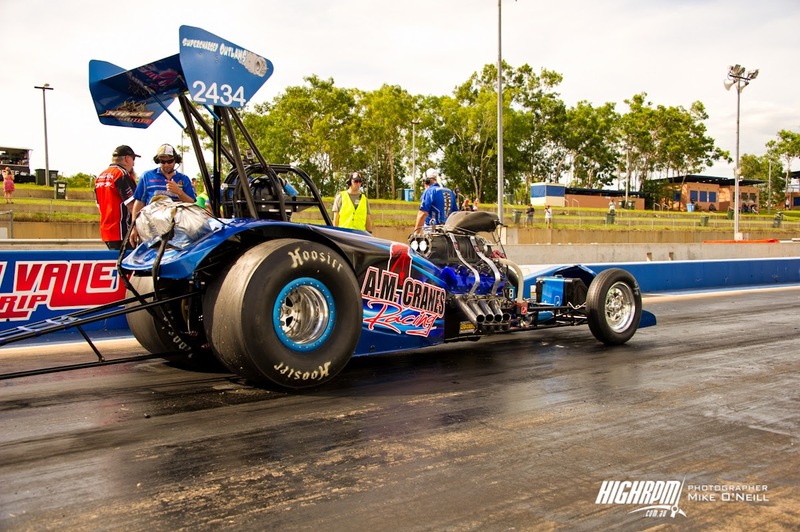 The concrete portion of the drag strip was looking great but the bitumen would take a little longer and with time restraints against us to complete all classes it was decided via a race meeting that the event was called off. Unfortunate given the efforts taken to dry the track, but it was a weather and timing issue.